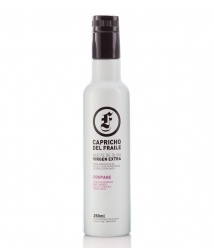 Capricho del Fraile Coupage - Glass bottle 250 ml. 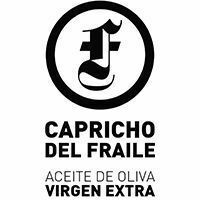 > Capricho del Fraile Coupage - Glass bottle 250 ml. 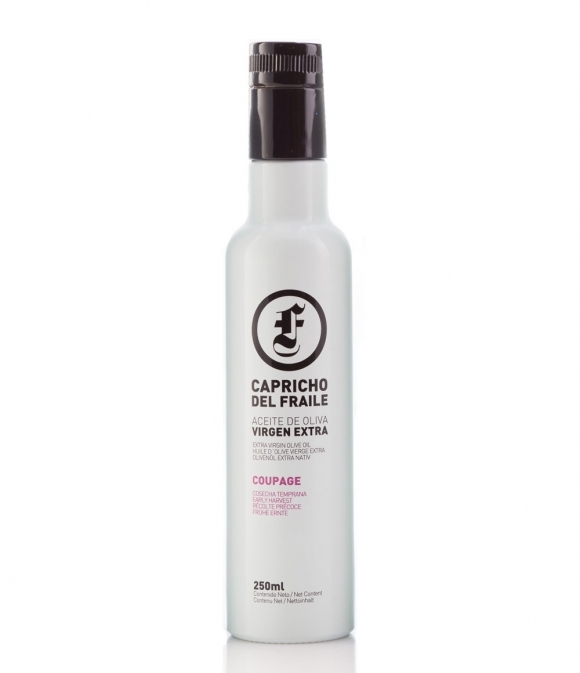 This olive oil presents a robust green fruity, with fruit notes predominantly green. The complexity of this olive oil is reflected in the harmony and elegance of the olive fruit form which it comes from. Recommended uses: Spicy meats, stews, and haute cuisine, mainly with beef, game meat and lamb. Preparations with any type of fish or seafood, legumes such as lentils and beans, recipes with vegetables and salads, tomato sauces and dessert with chocolate. It emphasizes the sensation of softness in contrast with the bitter and progressive spicy that provokes a great sensation of freshness. The farm, with about 200 ha. of olive groves, almond trees, oaks, pines and scrubland, it is located between the foothills of Sierra Mágina, in the province of Jaén, and Los Montes Orientales, in the province of Granada. This is located in a plateau of sandy loam between the 1020 m. and 1070 m., unbeatable land and high levels, which, in a continental Mediterranean climate, favor excellent quality in all its EVOO. In the exploitation of their olive groves, under an integrated production (API), they use agricultural systems that make the most of natural resources and production mechanisms and ensure a long-term sustainable agriculture that makes compatible the demands of society, the protection of the environment environment and agricultural productivity.